Brittany Butler is a R&B/Jazz/Pop singer-songwriter/musician. Since her first public performance at age 7, Brittany has always had an outstanding passion for music. She is also a self-taught guitarist & pianist. Before the age of 12, Brittany had been written up numerous times in local newspapers, performed at various local venues, and won several singing competitions. Most notably, the American Idol Simon Malls tour, judged by past contestants Michaela Gordon, LaToya London, & George Huff in 2005. She also went on to win numerous national online singing competitions, and was selected as a top 4 finalist in Taylor Swift's FEARLESS contest by Taylor, herself. At the age of 9, Brittany met Tuffus Zimbabwe. A Berklee College of Music alum, & current pianist for Saturday Night Live. 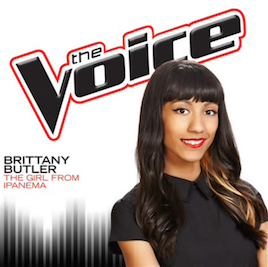 After singing for Tuffus, he recognized Brittany's talent & suggested that she audition for Berklee City Music. Once she was old enough, she auditioned and was accepted to study on scholarship as a member of the program at age 11. The program has since given her tremendous opportunity & knowledge. In May of 2011, Brittany toured four cities with the Berklee City Music Rock Ensemble, American Idol winner 2009 Kris Allen, and the Music Empowers Foundation. Brittany began posting cover videos to her YouTube channel in December of 2007. Since then, her covers have received rave reviews and acknowledgements from celebrities such as Taylor Swift, Green Day, Ashton Kutcher, Ricky Martin, Joe Trohman (Fall Out Boy), Brendon Urie & Ryan Ross (Panic! At The Disco), Relient K, and the Jonas Brothers, among others. She has since accumulated 110,000+ subscribers and nearly 9 million total views. Her Green Day medley was also featured on GreenDay.com! Over the course of 2010-2011 Brittany was fortunate enough to meet artists such as Billie Joe Armstrong (Green Day), Karmin, Fall Out Boy, the Jonas Brothers, & the Backstreet Boys. She was a featured artist on Mix104.1's "15 Seconds of Fame" segment multiple times and was named the best of 2012 and 2013 -- in addition to being a top 5 finalist out of over 200 entrants to open Mixfest 2013. Brittany graduated from the Boston Arts Academy in June of 2011, where she majored in Voice. In August of 2011, Brittany was awarded a full-tuition scholarship to Berklee College of Music, in addition to the prestigious Walter Beasley Award for Leadership. She officially graduated from Berklee in May of 2017. Most notably, Brittany was invited to an industry audition in New York for Season 7 of NBC's hit show The Voice. After making it to the Blinds, her audition performance got Gwen Stefani and Pharrell Williams to turn their chairs. Brittany ultimately chose legendary producer Pharrell as her coach. She went on to compete in the battle rounds where she got to work with Alicia Keys, who joined the show as a guest adviser for Team Pharrell. Brittany was selected the winner of the Amy Winehouse Foundation's global #BackToBlack10 cover contest. It was judged by the foundation, Amy's producer Salaam Remi and president of Island Records UK Darcus Beese. 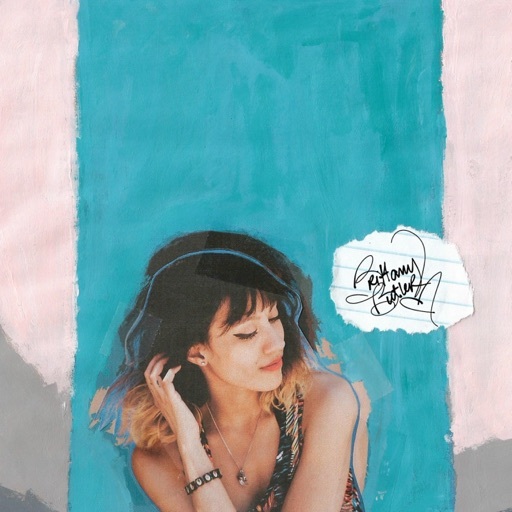 In June 2017, Brittany ran a successful Indiegogo Campaign to help fund her debut album. The EP was released on July 20th, 2018. It features 5 of her strongest original songs. It entered the iTunes Top 200 R&B/Soul chart at #93 and peaked at #51 in its first day of release. It's available to stream on all major digital platforms! Physical copies are available on CDBaby here!